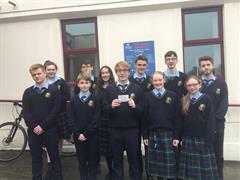 Every year in Maynooth Education Campus, Transition Year and Fifth Year students are offered the opportunity to participate in French, German and Spanish exchanges. Our partner schools are in Mülheim-an-der-Ruhr (Germany), Alameda de Osuna, Madrid (Spain), Canet en Roussillon (France). The students experience family and school life in the exchange country. They can greatly improve their language skills by immersing themselves in the new culture. Our students then have the opportunity to welcome their new friends to Ireland and to Maynooth Education Campus. These exchanges have been a great success over a number of years.